PP-IMP: King, Chopped or Razor tour-paks available in unpainted or color. DB-7: Made from Super Strong Polymer. Works with all touring model bikes and mounts with any hardware made for that model. 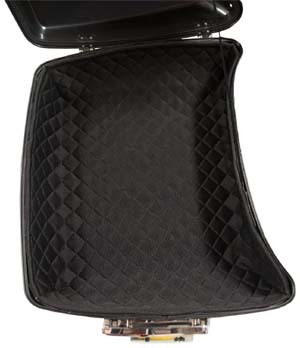 Comes complete with all hardware, gas shock, lock & key, backrest pad and comes completely assembled. Simply mount for fitment, disassemble then send to paint. 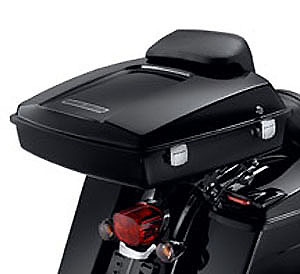 RK-47: Add cross-county luggage capacity to your ride with accessory Tour-Pak® Luggage. A cavernous interior will hold one full-face helmet or two half helmets. 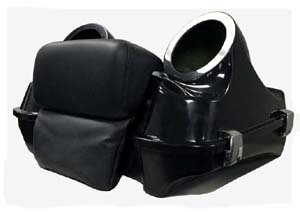 Kit includes backrest pad, interior rubber mat, hardware and instructions. Luggage Capacity: 2500 cubic inches. Dimensions: 18.5" W × 17" D × 13" H. Racks and docking kits sold separately...see our Relocator Kits/Detachable Racks page. 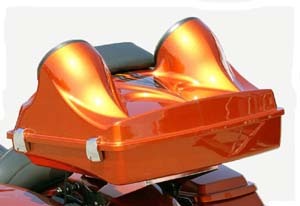 Fits '97-later Touring models (except Trike) equipped with Detachable Two-Up or Solo Tour-Pak® Racks. Also fits '00-later Softail® models (except FXCW, FXS, FXSTD, FXSTSSE3 and FLSTSE/2/3) equipped with Detachable Solo or Two-Up Tour-Pak® Rack and '04-later XL models equipped with Solo Tour-Pak® Rack. 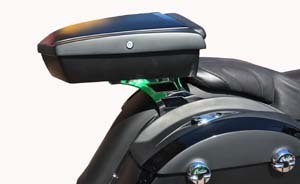 RZ-D: Additional storage space for your bike and it offers aggresive styling for increased driver sound. High-quality fiberglass w/Integrated Speaker Pods fit 6.5” speakers for all-around sound. This high quality razor-pak is carbon fiber reinforced at the hinge and latch mounting locations for added strength and durability. The lid is gel-coated, resin transfer molded to hold a constant wall thickness around the flange face so it’s always flat and smooth for gasket seal. The base has contoured and relieved sides to allow clearance for 2014 and newer saddle bags to open. 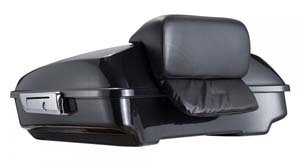 The base is manufactured with gel-coated, hand laid fiberglass with carbon fiber reinforcement at hinge and latch mounting locations, for added strength and durability. Sold un-finished and ready to be painted. Fully assembled. 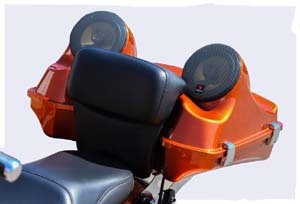 Note backrest and speakers are sold separately. 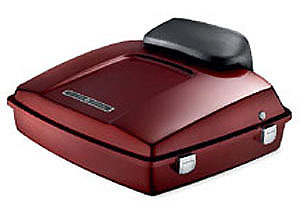 Razor-Pak: The ultimate in touring style. 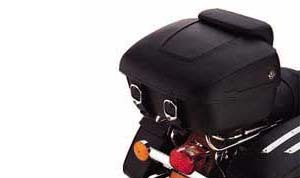 The slim but surprisingly roomy Razor-Pak luggage is designed to add convenient luggage-carrying capacity without distracting from the lean look of your custom bagger. 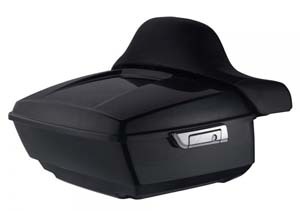 Ideal size to carry a briefcase, laptop computer, or a change of clothes, the locking top case can actually swallow compact half-helmets and some lightweight riding gear. So, get in a good day at the office, change your gear, and hit Main St. in style. 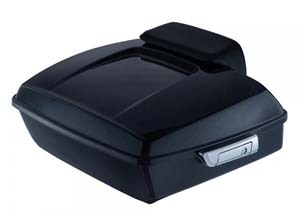 Razor-Pak luggage can be mounted to rigid or detachable Tour-Pak mounting racks, and accepts many of the lid racks, trim, spoilers and other accessories available for Chopped and King Tour-Pak® luggage. Lock and Keys LK-194 (keyed-to-match) sold separately. 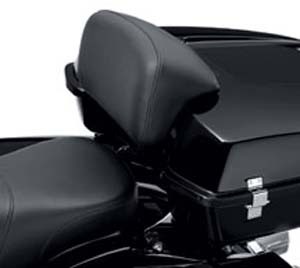 Razor-Pak luggage can be installed on a Detachable Solo or Two-Up Tour-Pak® Rack, Rigid Mount Rack, or Original Equipment Tour-Pak® rack on Electra Glide® Classic and Ultra Classic® models. 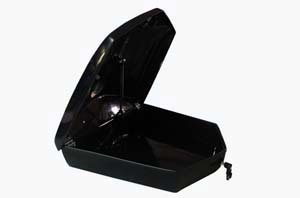 Dimensions: 22" W × 16" L × 5.5" H. Capacity: 1900 cubic inches. 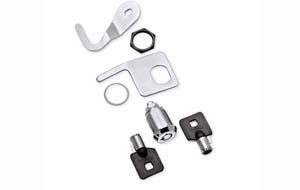 See your Dealer for additional hardware requirements. Fits '97-later Touring models. FLHTCUTG models require addition of Spacer Kit. 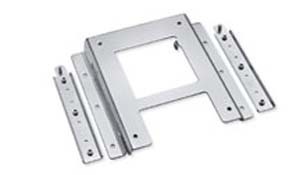 FLHXXX models require addition of Tour-Pak® Rack Kit and Spacer Kit. TPIK-44: Required for installation of King, Chopped or Razor-Pak luggage on '10-later FLHXXX Trike models. Razor-Pak luggage requires separate purchase of Spacer Kit P/N RZAP-94. 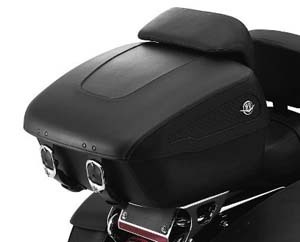 RZBR-92: Razor-Pak Backrest Pad. Clean, smooth styling complements most seating surfaces.